I hardly make soup for dinner, probably because there is a short window of time when it’s cold here in SoCal and when soup sounds appetizing, and also because I don’t like eating soup leftovers. Well, the first week of January was pretty cold, there was ice on my windshield a few times and consecutive days of wearing tights and long jackets. Suddenly, we were craving soup at dinner. As mentioned on this post, one of my priorities this year was to eat dinners together as a family on our dining table. Oppose to us eating around the kitchen counter, while the TV is on in the background and while I feed Baby H his dinner while I’m cooking food for the adults. Our little man is very vocal these days and has a large vocabulary, I wanted dinner for us to spend time as a family and talk about our day. 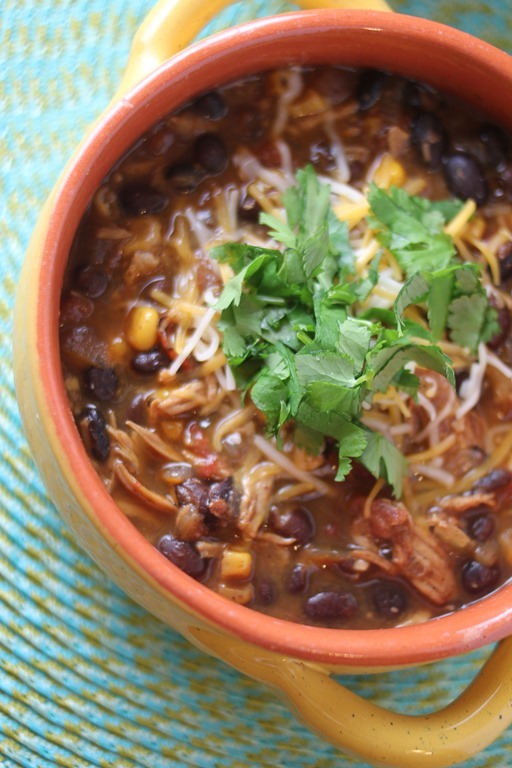 This past Sunday, I made this chicken enchilada soup on the slow cooker, and it was so satisfying to come back from our weekend excursion to know that dinner was ready. This dish was easy to prepare and had a ton of flavor. I made the homemade enchilada sauce noted on the recipe because it was easy to make. Now that I know how easy it is to make the sauce, I’m going to hunt for some good quality chili powder since I can see myself making this dish in our regular rotation. The first night, I ate the soup topped with cheese and cilantro and a small bowl of chips. 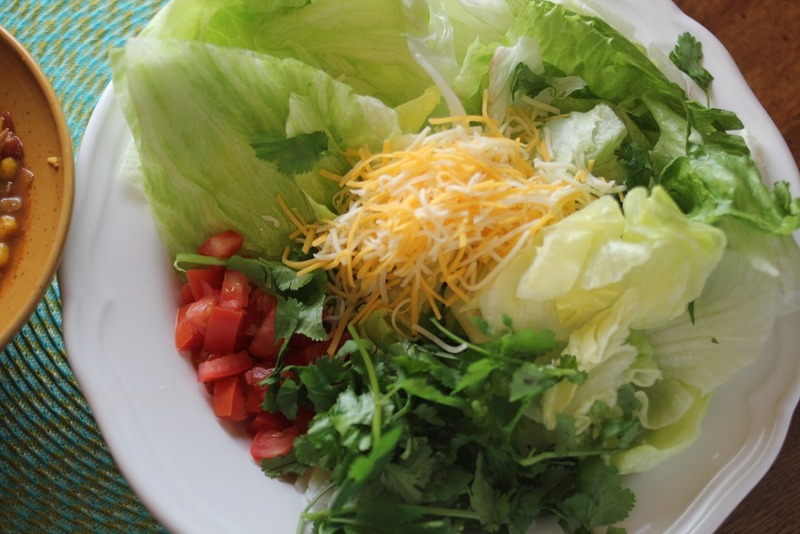 The next day, I ate the leftovers and scooped them into lettuce wraps along with chopped tomatoes, cheese, cilantro and sour cream. – Cooked the chicken breast on the skillet with oil and minced garlic before putting it in the slow cooker. I didn’t cook it all the way, just 1-2 minutes on each side to get them browned and add more flavor. – I used only 2 tablespoons of chili powder on the homemade enchilada sauce, because I wanted less heat so that my toddler can eat it too. If I was serving this for a party and for all adults, I would use the full 4 tablespoon of chili powder. – I didn’t add the green chillies. I added more garlic because we love garlic. 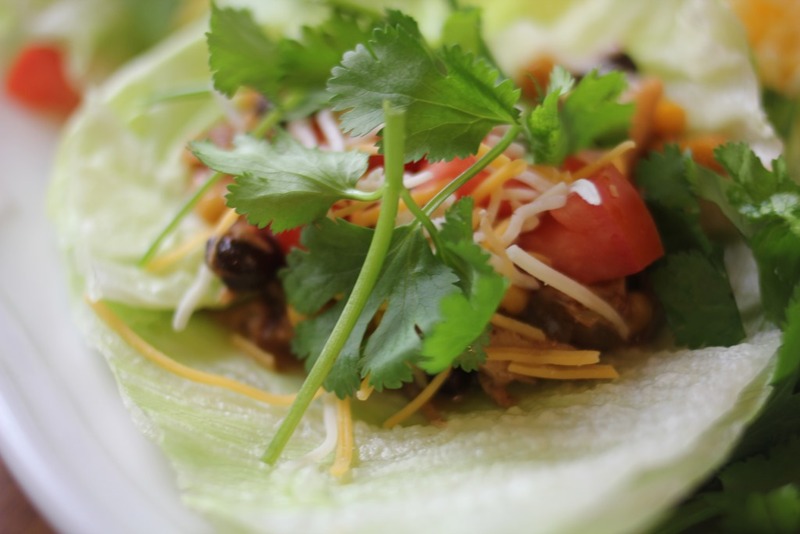 – I used 3 boneless chicken breasts to add more meat because I knew I wanted leftover chicken to freeze that I can use as filling in quesadillas. 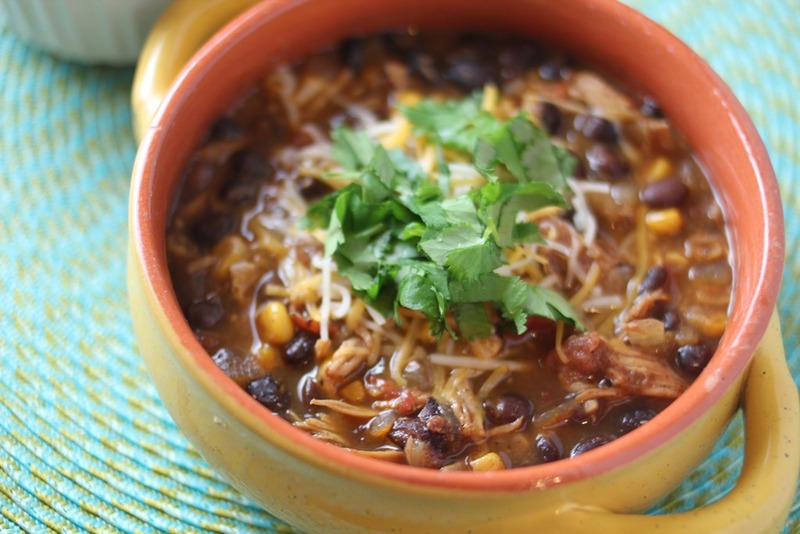 I love soup regardless of weather 🙂 I know its odd, but I can totally crave chili when its 95 degrees haha. This looks so good. I love the flavor of enchilada sauce. I’m going to give this a whirl!